A selected international team of partners supports us in the marketing and implementation of SemanticEdge spoken dialog systems. Technological partners supplement our dialog system architecture in order to provide our customers with the best components in every field. We work with the leading German agencies in the areas of Corporate Voice and Corporate Sound. Cisco (NASDAQ: CSCO) is the worldwide leader in IT that helps companies seize the opportunities of tomorrow by proving that amazing things can happen when you connect the previously unconnected. www.cisco.com. 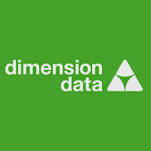 Dimension Data uses the power of technology to help organizations achieve great things in the digital era. As a member of the NTT Group, they accelerate theire clients’ ambitions through digital infrastructure, hybrid cloud, workspaces for tomorrow, and cybersecurity. With a turnover of USD 7.5 billion, offices in 58 countries, and 31,000 employees, they deliver wherever theire clients are, at every stage of their technology journey. They’re proud to be the Official Technology Partner of Amaury Sport Organization, organizer of the Tour de France, and the title partner of the cycling team, Team Dimension Data for Qhubeka.www.dimensiondata.com. Gracenote is the world’s leading entertainment data and technology company. They power the top music services, consumer electronics companies, automakers, media companies and cable and satellite operators on the planet. At its core, Gracenote helps connect people with the entertainment they love most. For more information, visit www.gracenote.com/. IBM is the world's largest provider of information technology and the market leader in on-demand business solutions worldwide. It is the only company in the IT branch offering the entire range of products from hardware to software to services, in addition to providing pan-industry and branch-specific solutions for the needs and demands of companies of all sizes. For more information, visit www.ibm.com. Nuance is the leading provider of voice and image processing solutions for private and commercial customers in the world today. Its technologies, applications and services ensure a significantly higher level of user comfort and offer new work-saving methods for the handling of information and for the creation, distribution and use of documents. Nuance's proven applications are used daily by millions of users and thousands of companies. For more information, visit www.nuance.com. Remote Solution has been focusing on developing & manufacturing remote controls since 1994. Theire slogan is "We provide all the solutions for your remote control needs“. Through theire devotion and effort you can now find theire product being used throughout the world. They Continually seek to explore new technology to provide a more convenient, brilliant, and affordable remote control for theire customers. For more information, visit www.remotesolution.co.kr. Siemens AG is one of the world's leading companies in electronics and electrical engineering. The Siemens Communication Division is one of the largest telecommunications industry providers in the world. The company offers a complete portfolio of innovative solutions for voice and data communication. Its extensive services and products range stretches from terminals to complex network infrastructures and services for companies in general as well as for mobile and landline communications providers. For more information, visit www.siemens.de. ThinkAnalytics is the leading provider and most widely deployed real-time personalized content recommendations engine in the market today, bringing together intelligent search with comprehensive media content recommendations. ThinkAnalytics Recommendations Engine broadens customers' tastes with a unique personalized experience for live linear TV, VOD and over-the-top, delivered through multiple platforms including the set-top box, Web, IPTV, tablet, mobile, and more. For more information, visit www.thinkanalytics.com. Voxtron is an international group developing professional software for customer interaction solutions. Voxtron has been active in the telecommunications industries since the early nineties. www.voxtron.de.